In the modern era, we are exposed to many different harmful chemicals on a daily basis. Workplaces and restaurants all have to adhere to certain safety measures to ensure that workers and customers alike are not exposed to dangerous amounts of these substances. However, just as many toxic chemicals can be found in your home as well. This is why I’m going to tell you about five common household items that you need to get rid of to improve your health, and the natural alternatives that you can replace them with. Non-stick cookware is by far the most common cookware used by Americans, yet there is an adverse side effect they have on our health. They are proven to release toxic chemicals into food during cooking. When non-stick cookware is heated up, its coating begins to break down at a molecular level. When the coating breaks down, it releases a variety of toxic particles and fluoride-based gases, many of which are carcinogenic. Instead of toxic non-stick cookware, purchase glass or ceramic pots and pans that don’t release harmful chemicals. When you drink liquid or eat food from containers made out of plastic, the chemicals in that plastic leach into whatever you are putting in your mouth and eventually gets digested in your body along with it. Among these chemicals are Bisphenol A, which is used to harden plastic in products such as water bottles. Many studies have linked Bisphenol A to adverse health effects. In 2010, the FDA changed their stance on the chemical, expressing “some concern” over its effects on the brain, behavior and prostate glands in fetuses, babies, and young children. Instead of using disposable plastic water bottles, opt for reusable metal or glass ones. The same goes for food containers. Not only are you saving the environment, but you’re keeping your body safe as well. Cancers – One study showed that common air fresheners contain a “considerable” amount of formaldehyde, which the United States classifies as a “known human carcinogen.” Overexposure to air fresheners has been linked to cancers of the nose and throat. A natural alternative to conventional air fresheners is the use of essential oils. Not only are they effective at creating pleasant aromas, but they have also been proven to be able to provide numerous health benefits as well. One study found that inhaling rosemary oil could improve your mood and stimulate the nervous system. To use essential oils as an air freshener, add 10 to 15 drops of essential oil into a spray bottle with approximately one cup of distilled water. Spray this around the house as your would a conventional air freshener. Hormone disruptors – Studies found that these cleaning products include substances such as parabens, triclosan, phthalates, and BPA. Thankfully, vinegar and baking soda provide natural antimicrobial cleaning properties without the same side effects as commercial cleaners. One study found that they were effective against a variety of bacteria including staph, salmonella, and E.coli. For more ways that you can rid your house of toxic chemicals, click here. Unfortunately, the innocent looking toothpaste found in a regular household holds many scary secrets! With ingredients such as Saccharin and Fluoride, both carcinogens (cancer-causing), toothpaste is not something you would want anywhere near your mouth. Saccharin – an artificial sweetener, mentioned above. It is said to be approximately 350 times sweeter than sugar. Considered to be a human carcinogen, it’s something to keep away from! Fluoride – another human carcinogen, fluoride can have a myriad of unhealthy effects; from causing cavities to severely damaging your thyroid. Find out how using coconut oil could be the healthy alternative to supermarket toothpaste you never even thought of. 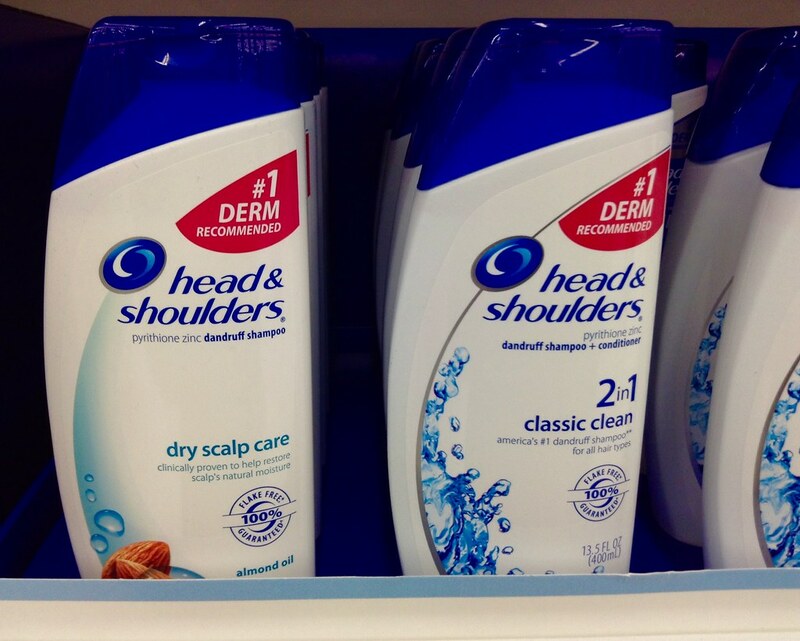 Anti-dandruff shampoo like Head and Shoulders “Dry Scalp 2-in-1” product contain methylchloroisothiazolinone, which is a suspected mutagen. They also contain ammonium laureth sulfate, which, although won’t cause any health problems on its own (apart from stinging if it gets in your eye), can sometimes be contaminated during the manufacturing process such as 1,4-dioxane. Early studies with rats found that this contaminant causes cancer, and the U.S. Department of Health and Human Services has said it’s reasonably anticipated to be a human carcinogen as well. Additonally, hair dyes have been linked to elevated cancer risk, but scientists have yet to come to an agreement about which chemicals for certain are linked to cancer. Some studies showed that barbers and hairdressers have an unusually high risk of bladder cancer (Read more here, or here). Other studies have confirmed some chemicals in hair dye to be carcinogenic to animals (Like this one and this one), but hair dyes have yet to be added to the World Health Organization’s list of known human carcinogens. Given the facts, most people decide that they would much rather have grey hair than potentially raise their risk of cancer. You can access Cancer.gov’s hair dye fact sheet for more information. Can cause cancer in animals – so keep them well away from pets! This means it has been labeled a human carcinogen, but there is no sound proof that they are directly linked to one another. Try creating this DIY, all natural moth ball to prevent holes in socks without the use of chemicals! Find it here! Increases risk of infertility, early puberty, and cancer. Avoid using chemical ridden soaps and opt for a more natural approach. This homemade soap is a great way to avoid Triclosan and any other unwanted chemicals found in antibacterial soap. Considered a ‘possible human carcinogen’. Discover some all-natural ways to prevent your pets from getting fleas or ticks here! Exposure to even a small amount of cigarette smoke is toxic. Cigarette smoke contains thousands of chemicals, about 250 of which are known to be harmful to your health, and 69 of those have been linked specifically to cancer. Although doctors and scientists have been aware of the carcinogenic nature of smoking for quite some time, it’s estimated that about 15% of adults in the USA still smoke. If you’re one of those people who have yet to quit smoking for good, don’t give up! The vast majority of smokers need several attempts to quit permanently; try some of these tips for making the process easier. Talcum powder (better known as baby powder) has become quite infamous lately thanks to multiple million dollar lawsuits against Johnson & Johnson for allegedly failing to warn customers about the potential link to ovarian cancer. While a judge overturned the largest lawsuit, the question still remains- is talcum powder safe? Dozens of studies have been undertaken over the course of many years in efforts to find a possible link between perineal talcum powder use and ovarian cancer; a 2008 meta-analysis concluded that it’s hard to say for sure. Many studies have noted a significantly increased risk of ovarian cancer (as much as 33%) associated with talcum powder use, but whether baby powder can be pinpointed as the exact cause remains to be seen. As far as we’re concerned, there’s plenty of evidence that calls the safety of talc for women into question; it’s better to be safe than sorry. Learn more about healthy ways to keep things fresh ‘down there’ here. It’s unfortunate that many people are still unaware of this fact, but the World Health Organization classified consumption of processed meat as a known human carcinogen back in 2015 (in the same Group 1 category as cigarette smoke and asbestos). Research shows a strong link between processed meat like hot dogs, ham, corned, beef, and jerky to colorectal cancer (and a somewhat less certain link to stomach cancer). Also in this category are salted fish. Red meat, by the way is a Group 2 carcinogen (or a probable human carcinogen). For those of us who aren’t vegetarians, sticking to unprocessed meats, reducing consumption of red meats and high-mercury seafood is a smart move. You can view the complete WHO list of known human carcinogens here. So if you haven’t done it already, ditch these common household products to prevent so many health problems that you could do without.